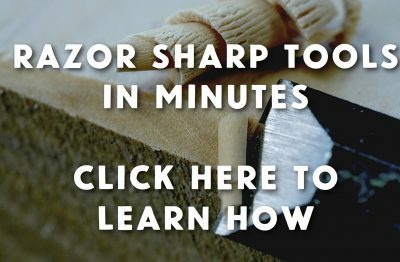 UPDATED 15Nov2018: By the time you finish reading this article and watching the videos that come up later, you’ll know exactly how to create a glass-smooth finish on wood. If you pay attention and get the details right, you’ll be one of those people who can apply a really great finish on interior wood, and do it every time. It all comes down to an operation called “buffing”. Buffing wood is the best-kept secret of the wood finishing world. What surprises me is how few woodworkers know about it considering how often people have trouble creating a wood finish they can be proud of. 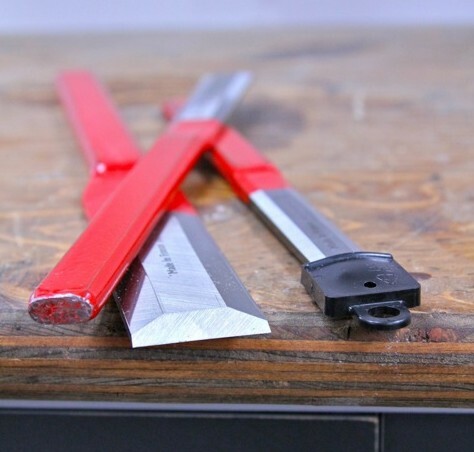 Buffing can create a glass-smooth finish, even after polyurethane has been applied not-too-well with nothing more than a brush in an ordinary home workshop. Buffing is especially valuable for dealing with the nasty side of waterbased urethane – the brush strokes, the bubbles and the less-than-smooth results many people struggle with. The dirty little secret of the wood finishing world is that waterbased urethane is significantly harder to apply well than its oil-based ancestor. Buffing really does make it easy to get superb results on wood finished with polyurethane. That’s what you’ll learn about here. Buffing works beautifully, even if you’ve applied a finish that’s not too smooth to begin with. Most ordinary people who attempt to apply a polyurethane finish wood eventually resign themselves to sub-standard results, all for lack of one tiny piece of information. But a rough, ho-hum wood finishing outcome isn’t inevitable when you understand how to do power buffing. 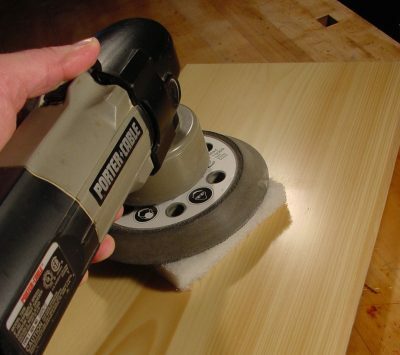 It works perfectly on all flat wooden surfaces, making use of the ubiquitous random orbit sander power tool. I’m not talking about using this sander for sanding, but rather for buffing a finish that you’ve already applied. You can power-buff all kinds of finishes – wood, metal, and even car bodies. When you get to the bottom of this article, check out my video on how I used buffing techniques to get rid of scuffs and scratches on my vehicles. In this article I’ll show you how it applies here to a polyurethane wood finishes — either oil-based or water based. Buffing can transform an ordinary wood surface into one that’s a smooth as glass and very inviting to the touch. And the work takes just a few minutes. Click the window below to watch an overview of the power buffing process. Before you do anything else on an actual project, read and understand all the steps below. The first thing to understand is the need to begin with a thick polyurethane finish film to ensure that you don’t buff right through to bare wood. That’s not to say you should apply each coat thickly. Four regular coats of urethane applied one over the other is a good starting point. Sand lightly with 240-grit sandpaper between coats, then let the last coat dry for at least 24 hours. This is standard practice with any wood finishing job, and is nothing out of the ordinary. That said, sanding bare wood beforehand to create a smooth foundation is key. Click to watch the video on the right to see how I’ve been sanding wood as a professional cabinetmaker since the mid-1980s. Have you ever considered using waterbased stains? These are different than waterbased urethane. Click to watch and learn. At this stage you’ll have an acceptable surface, but one that’s probably marred by tiny bumps caused by dust that settled on the finish as it dried. This is why leveling is the pre-buffing step required next. Start with one of the old pieces of the 240-grit sandpaper you used to sand between coats earlier, then wrap it around a block of Styrofoam and rub the wood surface lightly in the same direction as the grain. It only takes a few strokes to remove the dust bumps, so don’t overdo it. Also, be sure to avoid fresh sandpaper for this job because it cuts too aggressively. You definitely don’t want to go right through the finish to bare wood. Like I said, use a piece of old 240-grit sandpaper left over from the sanding you did between coats of urethane. After just a few strokes you’ll find that the surface feels noticeably smoother right after de-bumping, though the sheen will be irregular to the eye. It will be dull where the sandpaper did most of its work, and shinier where it did less. This is normal. As long as the surface feel perfectly smooth, it’s time to move on to the next step. Now comes the fun. It’s time to power buff. Grab your random orbit sander tool and a piece of superfine 3M rubbing pad. This is a thick, non-woven, synthetic abrasive material available at woodworking outlets and better hardware stores. It comes in different abrasive ratings, and the superfine type is what you need (it’s usually white in colour). I buy mine by mail order from Lee Valley Tools (800-267-8767). Cut a 6-inch x 6-inch piece, place it on your project, then put your sander on top. Switch on the power. As the vibrations and rotations of the tool are transmitted to the pad and the wood, it buffs the surface, removing tiny imperfections while leveling out the sheen beautifully. Work over the whole area evenly and slowly in a grid pattern. A bright light reflecting off the surface at a shallow angle is the best way to highlight areas that need more work. The more you polish, the shinier the results. You won’t be able to get a sander into every nook and cranny, and that’s why you should prefinish parts as often as possible before assembly. You can also extend the reach of the buffing treatment using the rubbing pad by hand. You’ll find that the process also works on curved surfaces and trim if you use #0000 steel wool. This ultra-fine abrasive is excellent for buffing, but there’s a danger. Even though it’s metal, fine steel wool can catch fire and burn easily. Store it in a tightly-sealed metal can for safety. Finish up with a coat of paste wax, also buffed out under power, and you’ll have the smoothest possible finish that can be put on wood. You won’t be able to resist running your hand over it. Want to see buffing in action? Click to watch the video tutorial below. The transcript of the video sits below the video window so you can study and review the techniques more closely. Also, there’s another video further down that explains how to use buffing to restore an auto finish, and the Q&A section. Click to see how the power buffing process works and the results it creates. VIDEO TRANSCRIPT: One of the biggest challenges of woodworking is finishing. It’s sometimes a lot easier to build a good project until you get to the finishing part, and that’s where disappointment often sets in. This is especially true if you’re working in a home shop and you’re applying a polyurethane finish with a brush. I want to show you a technique here that will allow you to produce glass-smooth finishes without spray equipment, just using an ordinary brush and polyurethane finish. Now you need to start with a finish of sufficient thickness, so that would be at least three coats of polyurethane, and preferably four. The problem at this stage is that your surface is probably going to have little bumps on it from dust particles that have settled out from the air. There may be some brush marks too, and these are the things that would make the finish ugly. These are the things that I’m going to show you how to remove after the fact. It all comes down to the right kind of abrasion. So what you want to begin with is a piece of fine sandpaper. This is 320 grit, and it’s wrapped around a piece of foam. This could be styrofoam. This is a little squishier than styrofoam. You don’t want to wrap it around a wooden block. You want something with a little bit of resilience, but you don’t want to use the sandpaper by hand. Now this sample here has four coats of water-based urethane, and the first step involves knocking off the dust bumps. So, you’re just drawing this back and forth across the surface like this. You’re not trying to remove significant amounts of polyurethane, just to knock off those little high spots. You want to knock off the mountains, and you’re going to know if you’ve done that sufficiently with your fingertips. A little bit of movement of this sanding block with paper on it is going to yield a much smoother finish. You’ll feel the difference immediately. It’s going to be smooth, but it’s not going to have an even sheen. Where more abrasion happened, it’s going to be dull; and where less abrasion happened it’s going to be shinier. Further refining the surface is what happens next, and that’s where something like this comes in. This is a 3M rubbing pad, so it’s non-woven. This is the fine grit, and you want to use this, believe it or not, in conjunction with a random orbit sander with no abrasive disc on it. So, the sander causes the rubbing pad to move and polishes the surface. Now if you want a matte polyurethane finish or something with just a little bit of gloss to it, then all you need to use is this fine pad. It’ll smoothen things out and give you just the tiniest little bit of sheen. If you want something shinier, you’d follow this up with the super fine pad used in the same way. This is what it looks like. It’s really pretty simple. You can turn the speed of your sander down a little bit, at least at the beginning until you get the hang of it. I’ll just switch on and start the buffing. Now this is a very flat sheen, so you’re not going to see some reflections off of it, but it is extremely smooth. It just feels like a piece of glass, and it didn’t start off that way. Now if you want it a little bit shinier, you can continue with the power buffing using this ultrafine pad. Now it feels about the same, but you can see some shinier reflections there. It can get even shinier if you buff more. You’d have quite a bit of control over the level of sheen that you can achieve. Now not every woodworking situation is as nice and flat and open as this sample piece I’m showing you here now, but the same process can be used on any kind of shape or profile. You can start with the knocking off of the dust bumps, and the only difference is that you don’t use the random orbit sander for buffing. You just do all the work by hand, and these are flexible enough that they can go around contours and along the edges of panels where they meet stiles and rails, so you can get this kind of result on any surface you might be dealing with. Got some scratches on your car or truck? Buffing might be able to help with that, too. Click below to watch how I use the process successfully, including the kind of rubbing compound that makes it work. Transcript below. VIDEO TRANSCRIPT: 00:08 Many times, when my wife heads into the city with the van here, we come back with some damage. We don’t know how this particular scuff happened here, must have happened in some parking lot or something, but I’m going to try something to make this look better. I mean, this is not a new vehicle. It’s a 2004, but I believe in keeping vehicles good for the long haul, and that means little repairs and fix ups like this if you want to keep ahead of things. 00:37 So, what I’m going to do is I’m going to wash this area to get off any road grit. And then, I’m going to use a buffing pad on a random orbit sander with some automotive rubbing compound. I’m thinking that this is actually, I’m hoping anyway that this is on the surface, that this hasn’t actually effected the paint. So, I’m going try the mild abrasion of the rubbing compound and hope I can get rid of this white stuff. If I can’t, and I really don’t know what I’m gonna run into yet, I’m gonna continue. I have some color matched paint for the van here, and I’m going to show you how I would paint over damage like this with paint and clear coat, and then buffing to blend the repair into the surrounding areas. 01:24 So first, I’ll wash and then we’ll try some buffing. 01:41 So, this is my six inch random orbit sander. I’ve had this for a long time. I’ve sanded a lot of decks and done all kinds of woodworking with it, but it actually is a superb auto polishing tool, as well, if you have the right kind of pad. So, this is a foam polishing pad. It’s got a threaded shaft that goes into the machine, just like the sanding pad would. I got this and the rubbing compound on Amazon, pretty convenient. And so, I’ve moistened the pad, and I have put on some of the rubbing compound. I’ve turned down the speed, too, you don’t want it to operate at full rpm. I’m gonna start it fairly slow, and then I’ll just start buffing here. 02:24 The van is a little bit wet. This is a wet process, so I wanna keep it lubed with water and let’s see if this works. 03:00 Well, I think that things are happening here. I know it’s not completely gone, yet, but let’s just see what we have. And I don’t … There is something that’s definitely going through the paint here. But if you remember, there used to be some marks up here. These are a lot less than they used to be, same with down here. 03:27 So, I’m gonna continue buffing and just see how good I can get that. While I’m at it, I’m gonna buff a few other places on the van, too, that have gotten the clear coat scuffed a little bit. But this is a perfect example of how a little bit of TLC can really make a difference. And I’m gonna continue, and then show you the result when I get it as good as I can get it. 03:51 Well, I’m very pleased with what’s happened here. It’s … The buffing that I … Please excuse those crows in the background. The buffing approach I’ve used has worked very well. This is just great. There’s no need for painting. There are a couple of spots, maybe I’ll go at that a little bit more. Down here, too, there was some actual damage. That looks worse close up than it does from a distance, but I’m not shooting for perfection here, but this is close enough. I think it’ll be just fine. 04:36 While I’m at it, I also polished this headlight lens using the same rubbing compound. There’s a finer grade than this, but I find that this works pretty well for most things. This, I’ve just finished and compare it to this one. It’s got a little water on it, but it is definitely cloudier. It only took me about five minutes to convert this cloudy lens to this much clearer lens using the buffing compound on that random orbit sander with the abrasive pad. Q: Can I buff a used table that has a pretty good finish? There are minor scratches that you can see, with a few that can be felt with your fingernail. Nothing deep, but a couple of nicks through the finish that I’d planned to touch up with Polyshades. So, can I buff as you described, minus the 320 grit on the foam block? I have a 6″ orbital polisher to work with. Lord, how I’d wish I’d known of buffing years ago. Always spent hours trying to get that perfect result. Sprayed a coffee table couple of years ago but got a little overspray of varnish. Can I buff that now, too? A: I’d definitely start by coloring the minor scratches with Polyshades as you planned. After that, do some gentle buffing and see what happens. I think you’ll be pleased. And you’re right. No sanding with 320, just gentle buffing. You don’t know how thick the existing finish is, so take it easy. As for your coffee table, yes, it’s definitely a candidate for buffing, even now. Use the 320-grit paper on a foam block to knock off the dust bumps, the go at it with a “fine” 3M rubbing pad. That’ll give you a nice, matte finish. A little work with the “super fine” will bring up a gloss. The more you use it, the shinier things get. But it’s not like the shine of gloss urethane, which I always find goopy and bad looking. A buffed gloss is a much more refined shine. I hope this helps. Please let me know how you make out.